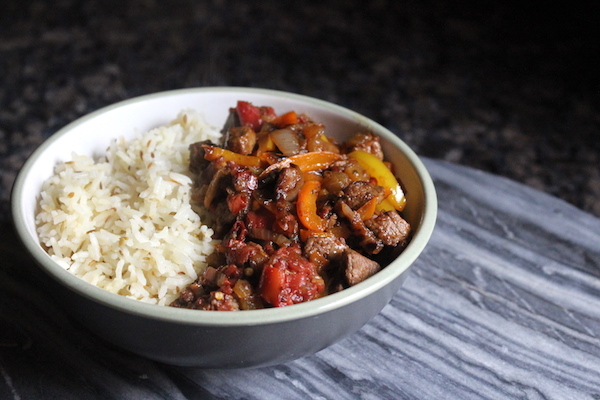 Saç kavurma is a simple Turkish dish made with sauteed meat (often lamb or goat), peppers and spices. 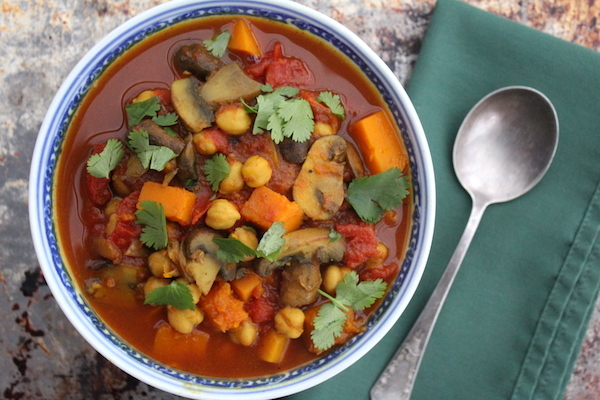 The dish is easy to prepare at home, and though it’s traditionally made in a special cooking vessel known as a saç, it can be made in a Wok (or a cast iron pan in a pinch). 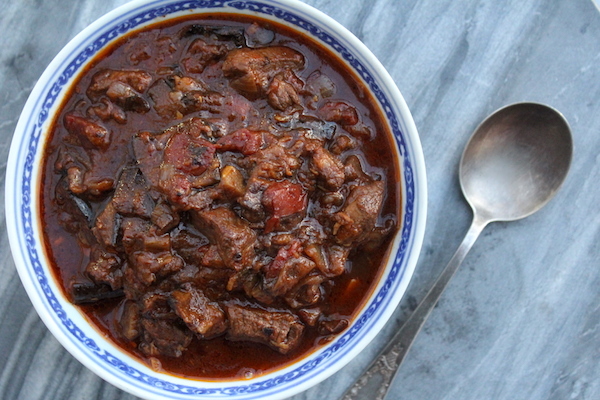 Homemade saç kavurma served with rice. 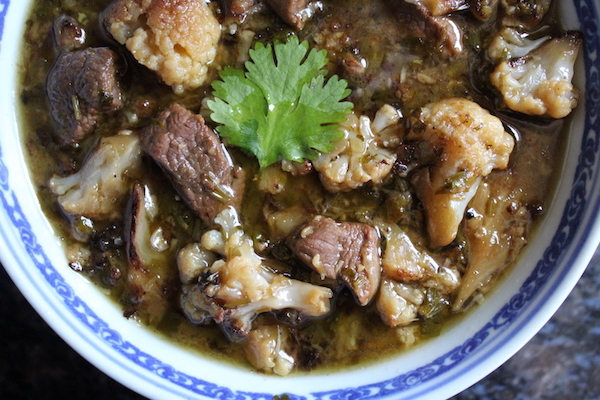 Called cauliflower stew, even though it contains plenty of lamb, versions of this dish are common throughout the middle east. In Lebanon and Syria, it’s called yakhnat al-qarnabit, and it’s made with plenty of fresh coriander. 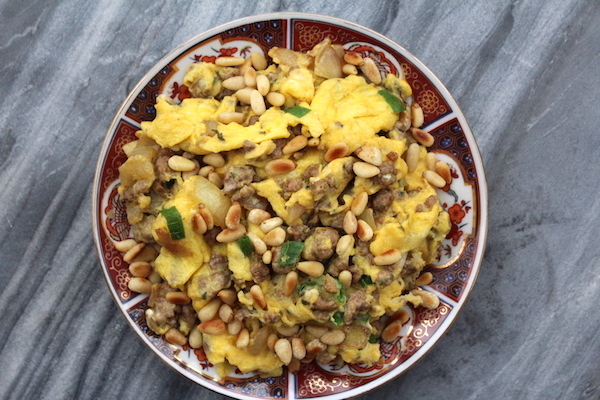 In Turkey, it’s called karnibahar musakka, and fresh thyme, marjoram and parsley flavor the dish.